copyright 2012 David J. Vanderpool 15" x 11" graphite pencil drawing on paper. 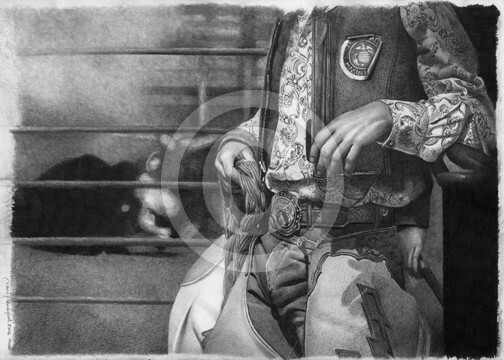 This rodeo drawing is based on a photo provided by photographer Terry Cyr. Taken during a rodeo in Montana, USA.